1/16 Taigen Metal Front Drive and Rear Idler Wheels for Tiger I Early Discounts Apply ! 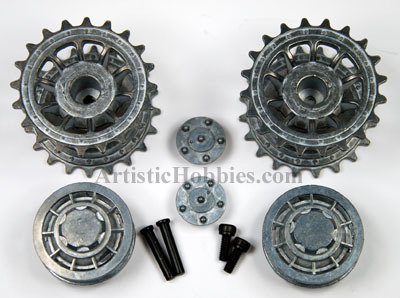 TAG120003 - Taigen 1/16 Metal Front Drive and Rear Idler Wheels for Tiger I Early. Fits all early Tiger I tanks, 1 set of each.